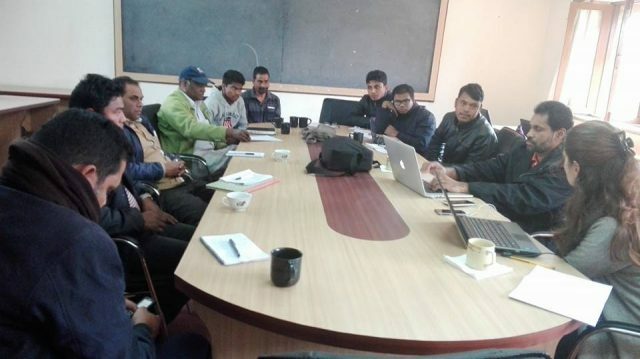 On 23 November, NJSI staff gathered at the the HRD Research Centre in Sanepa, Kathmandu to have an evaluation of the various activities done by NJSI during the year of 2016. The meeting honoured the presence of Ms. Cristina Fernández Durán (Program Manager, Xavier Network, Madrid, Spain) who was with us for a weeklong visit to NJSI. The meeting started with the presentation of the status report from all the 11 districts, where NJSI activities are being carried out. The team was happy to note that even with all the constraints of political, bureaucratic, and natural difficulties, NJSI has created tremendous impact on the earthquake affected areas and brought out qualitative changes in the lives of many people, mainly women and children. It was obvious that the motto ” Reaching the Unreached” was kept as a check point before making any decisions taken with regard to NJSI’s earthquake intervention. 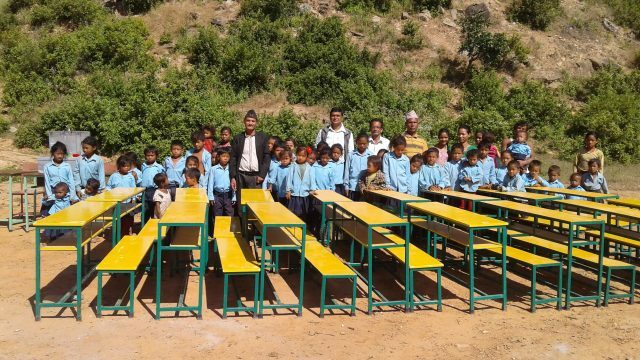 The output of reaching out to 88 schools, more than Twenty thousand students, and about 6000 households all in remote places during the emergency phase and building semi- permanent and permanent structures in 45 schools, the ongoing work of building 6 hostels for special children in the reconstruction phase point to the effective activities of NJSI. The meeting also had input sessions on planning and revising the strategy of NJSI. The team was happy to share their experiences and feelings during the field work. The meeting concluded after drawing some points to be included in the planning for the coming year of activities.